Good. 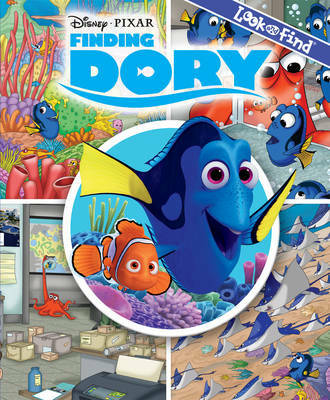 Finding Dory Look & Find (Disney Pixar) Intended for a juvenile audience. Very good. Pages and dust cover (if applicable) are intact and not marred by notes or highlighting. The spine is undamaged. ~ Goodwill Industries of Greater Grand Rapids, Inc. is a non-profit organization dedicated to changing lives and communities through the power of work.